Welcome to The Acreage at Patterson Creek--a verdant, 10-acre property rich in water, lush willows, stretches of pine trees, aspen trees, wildflowers and abundant wildlife habitat. This property is ideal for the outdoor enthusiast, and offers opportunities not only for a seasonal retreat, but for a full-time residence if one desired.Nestled in the sought-after west side of Teton Valley, The Acreage at Patterson Creek is roughly 6 miles to downtown Victor, ID. The property is characterized as moderately flat, some elevation gain, with Patterson creek meandering through it, to hill side terrain, that offers a few choices to build.Personal preference; either a private open full sun lite elevated site with full Teton Mountain Range views and valley floor below for the "Solar House", or a private, secluded shaded treed site for the "Tree House". A rare find, this property is literally at the end of the road! 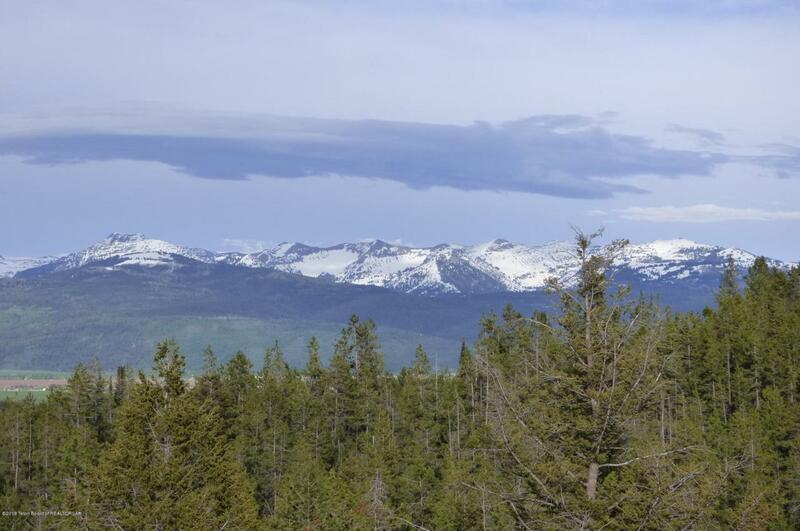 The county W 6750 S road goes through the property then continues on to protected National Forest Service land, which borders this 10-acre parcel and is out your back yard. Direct access to trail systems galore!